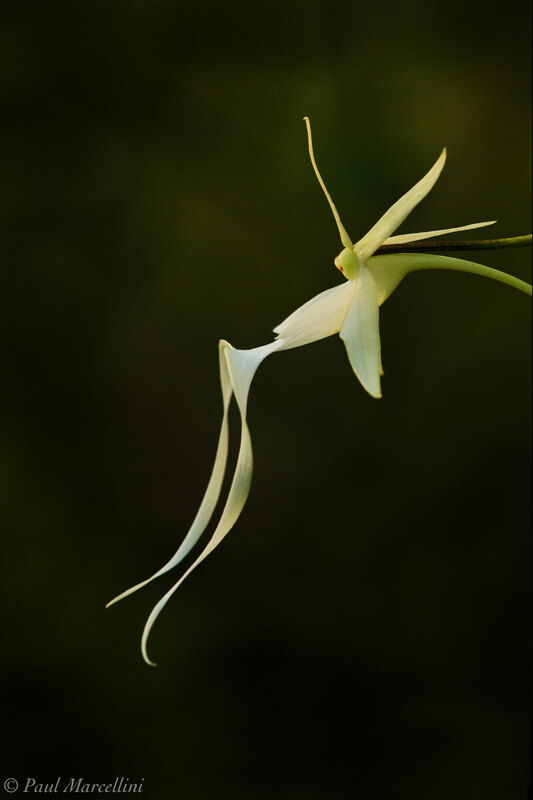 The Ghost Orchid (Polyrrhiza lindenii) is a prize plant to find in South Florida and the subject of books and a movie. Those who know where they are, protect the location due to orchid poachers, whom rarely could keep one alive anyways. It is best viewed in the wild, if you can find one. Photo © copyright by Paul Marcellini.